Child kidnapping is a crime that happens with frightening regularity. And it often involves the parents. Sometimes a Ukrainian-born mother cannot adapt to her new life abroad and returns to the safety of her native Ukraine, taking along her child without the father's consent. Or a divorce has gone wrong, and the mother takes the child back to Ukraine despite a court order that allows the father visitation rights. In any case, domestic child kidnapping is a fairly common event that carries criminal consequences for the offending parent. As a general rule, the Ukrainian Interpol Bureau, a part of the Ministry of Internal Affairs of Ukraine, should take action based on Interpol notices for missing children and kidnapping parents. This warrant information is also shared with the Ukrainian State Border Control Service. Unfortunately, there is no national coordinating agency for such searches. The State Execution Service of the Ministry of Justice of Ukraine enforces related court decisions on a case-by-case basis and the Court's Execution Service involves other relevant agencies, such as local police or children's services. The entire system is quite bureaucratic and unpredictable, and often precious little gets done in the way of returning the child to the foreign parent. 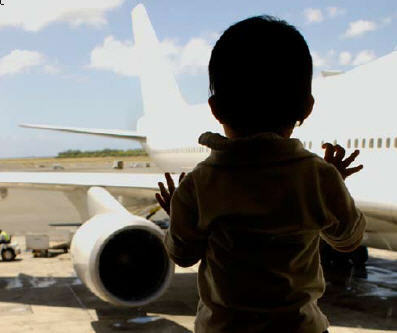 At the same time, on September 1, 2006, the 1980 Convention on the Civil Aspects of International Child Abduction entered into force in Ukraine, which has two important goals: to secure the prompt return of children wrongfully removed to or retained in any signatory country, and to ensure that the rights of parents for custody and access to their children under the law of one signatory country are respected in other signatory countries. Court decisions regarding parental responsibility, access, and contacts are made taking into consideration the best interests of the child. Parents whose children have been abducted to or retained in Ukraine should contact the Department of State's Office of Children's Issues to file a petition under the Hague Abduction Convention. Application form: The Ukrainian Central Authority will accept an application in a foreign language, but it does require translation for further processing. To expedite an application, it is recommended to obtain translations prior to submitting the application package, which need to be certified to be accepted by a Ukrainian court. Originals or certified copies of the child's birth certificate, its parents' marriage certificate, and divorce decree, as appropriate. 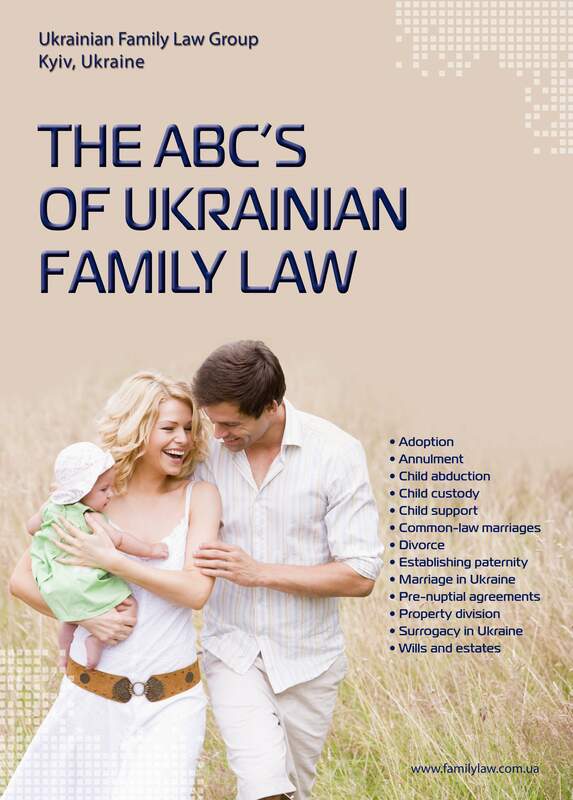 A certified copy of the custody order in effect when the child was taken to Ukraine or a copy of the state law that establishes the right to custody, and any agreements regarding custody or access. Authorization Form allowing the Ukrainian Central Authority to work on your International Parental Child Abduction case. Although the aggrieved parent's authorization is included into both the Ukrainian child return request and the child access request forms, it is recommended that this authorization goes on a separate page, so that it can be further used in the court as a separate document. Photos of the child and of the offending parent. Once the Ministry of Justice receives the application, it takes measures to locate the child and offending parent, approaches local authorities to arrange a meeting to attempt voluntary child return and makes arrangements with the local children's welfare office (custody and care office) to check the child's living conditions. If the offending parent refuses to return the child, the case is submitted to the court. The local court decision can be appealed in any general appeals court, which can be further appealed to the Supreme Court. By law, the case should be finalized within two months of the application date. In rare cases, this can be extended by court decision for one more month. Appeals take up to three months. In practice, the average processing time for Hague cases is six months and more. A parent or legal guardian can file a Hague application for access, thereby seeking to enforce visitation rights pursuant to the Hague Abduction Convention. Alternatively, access rights are determined by the custody and care office and/or the local court as part of a custody decision. The State Execution Service of the Ministry of Justice of Ukraine enforces court decisions, including visitation/access rights. If needed, the Execution Service involves other relevant agencies (e.g. local police or children's services).